American Knife Guild member, Pat Crawford crafted this Boot Knife. 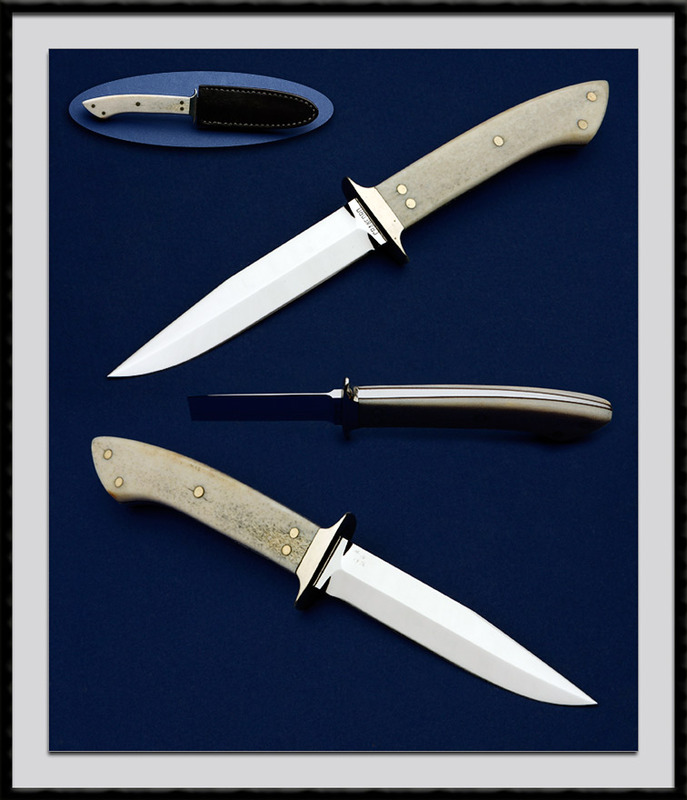 Mirror polished 440C Blade steel, BL = 4”, OAL is 8 1/4", Tapered tang, Black liners and polished bone scales with nickel silver pins. Condition is Mint. Made in 1976 and is #16. Pat would charge $800.00 to make now. He no longer makes mirror polished fighters.